Do you suffer from foot pain? We Can Help! Plantar Fasciitis is an inflammation of the fibrous tissue (plantar fascia) along the bottom of your foot that connects your heel bone to your toes. Plantar fasciitis can cause intense heel pain and arch pain. Plantar fasciitis can take years to heal on it’s own and limits your activities. Often your health care provider will ask you to stay off your feet to heal your injury. This is not always a feasible option as we are required to walk every day. Walking places a significant amount of force onto the bottom of our feet. This can cause repetitive tearing of the fascia accompanied by significant pain. Metatarsalgia is a general term used to denote a painful foot condition in the metatarsal region of the foot (the area just before the toes, more commonly referred to as the ball-of-the-foot). This is a common foot disorder that can affect the bones and joints at the ball-of-the-foot. Our Podortho Nurses perform assessments of your feet to determine the cause. Potential causes of Metatarsalgia, including ill fitting footwear, changes in bio-mechanics, excessive weight and arthritis causing pain. There is no one universal "cure" for Metatarsalgia, as the ideal treatment to get rid of it will depend on the specific cause. Therefore proper assessments with our foot specialists will be performed. If your goal is to eliminate the pain and correct your condition we recommend our non-invasive laser therapy treatments to eliminate pain and strengthen the supportive structures in your feet by correcting your bio-mechanics. Orthotic inserts are often recommended to off load the area of pressure and prevent re-occurrence of this condition. 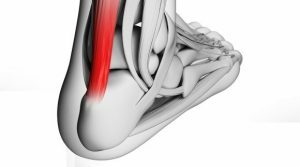 Achilles tendonitis or tendinosis is an inflammation of the Achilles tendon (the largest strongest tendon in the body) located at the back-mid portion of your calf and attaches to your heel bone. Excessive force and limited range of motion can cause the Achilles tendon to tear thus causing pain and swelling that will often not resolve on its own. Icing can assist with decreasing the inflammation, stretching can loosen the connective tissue however given the fact we must continue to walk each day that force remains a factor day to day. Feet for Life Medical Foot Care Ltd. uses low level laser therapy as a non-invasive painless way to rapidly heal this condition. First the laser will decrease the inflammatory response to allow your own body to heal quicker. Our laser will increase collagen synthesis at a cellular level using a variety of wave lengths to rebuild connective tissue and increase tensile strength to heal your condition fast and reduce the risk of re-injury. There are no negative side effects and the treatment is not felt. You can expect to feel relief by the third treatment. Due to the nature of how the laser works being a cumulative process we treat the affected site no less than six times up to 10 for efficacy. We need to see you a minimum of twice a week. Feet for Life offers flexible appointment options such as evening appointments to suit your schedule. We will often recommend the use of an orthotic devise as this condition is usual caused from poor bio-mechanics. Orthotics will also prevent the risk of re-occurrence especially in athletes. Please view our video below for more information on how foot orthoses help. Heel pain is not usually caused by a single injury, such as a twist or fall, but rather the result of repetitive stress and pounding of the heel. Heel pain is typically mild and usually disappears on its own; however, it may persist and become chronic (long-term). The main difference between plantar fasciitis/heel pain and heel spurs lies in the source of the pain. Pain from plantar fasciitis is typically felt in the arch of the foot and the heel due to damage or overuse of the plantar fascia. Heel spurs, or tiny jagged calcium deposits on the heel bone, develop in response to the trauma to the plantar fascia and is localized to the heel. When the plantar fascia ligament is damaged, the body creates what’s known as heel spurs–small, sharp calcium deposits on the heel bone–to support the damaged fascia. Unfortunately, if left untreated, heel spurs can further damage and erode the fatty pad that supports your heel and do permanent damage to your foot. Therefore, it is important to treat and heal your plantar fasciitis at the onset of pain. Low level laser therapy available at our clinic is a conservative and effective method used to eliminate this pain and heal the condition painlessly in as little as six treatments. It is important to give your feet rest breaks during the day if you’re spending a lot of time on your feet, you will want to dial down your exercise routine and avoid the use of pharmaceuticals while receiving laser therapy treatments at our clinic. It’s also advised to ice your feet to reduce inflammation. Maintaining a healthy weight is advised to avoid adding additional strain to the plantar fascia and heel. One of the best ways to prevent re-occurrence of this condition is to offload pressure with our customized orthotic inserts. Heel pain typically comes on gradually, with no injury to the affected area. It is frequently triggered by wearing a flat shoe, such as flip-flop sandals. Flat footwear may stretch the plantar fascia to such an extent that the area becomes swollen (inflamed). In most cases, the pain is under the foot, toward the front of the heel. Post-static dyskinesia (pain after rest) - symptoms tend to be worse just after getting out of bed in the morning, and after a period of rest during the day. After a bit of activity symptoms often improve slightly however, this pain may worsen again toward the end of the day. All laser treatments and orthotics are covered under your extended health insurance benefits. Contact us book an appointment to eliminate your foot pain forever! Cell metabolism, collagen synthesis, Osteoblast production, increased circulation and the formation of new capillaries by release of growth factor, T-Cell production, production of neurotransmitters (e.g. endorphins, serotonin, ACTH), Action potential of nerve cells. Accelerated tissue healing by 40%, enhanced tensile strength in tissue repair, increases callous and bone formation, reduces or eliminated pain, decreases edema and inflammation, improves immune response. It is non-invasive, accelerated and enhanced clinical outcomes, effective for treating conditions that are difficult to treat, cumulative clinical effects, both quick response and long lasting results, short treatment times compared to other modalities and light therapies.